The Movers return to perform 4 shows at the Jack Frost Winterfest - Atlantic Canada’s favorite family event and the largest winter festival east of Quebec City. 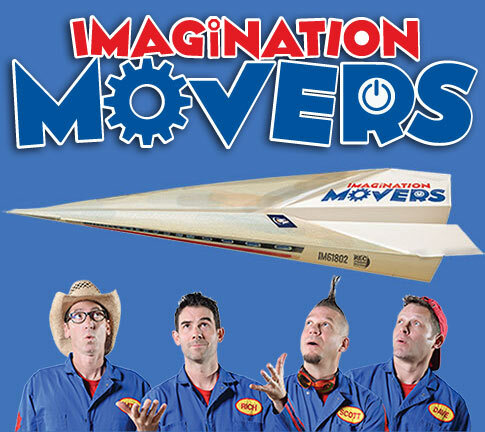 The Mover play on 2/16 & 2/17 at 10 am & 2 pm at the Live Family Stage. So, get ready for some high flying toilet paper, ginormous balloons, vortex cannons, confetti and music, music, music. It surely will be an amazing experience for the whole family. Plus, you can embrace the Canadian winter at Jack Frost’s Eastlink Outdoor Snow Kingdom, an interactive winter playground featuring snow and ice slides, a mountainous tube run and incredible ice sculptures by the Canadian Snow Sculpting Team. 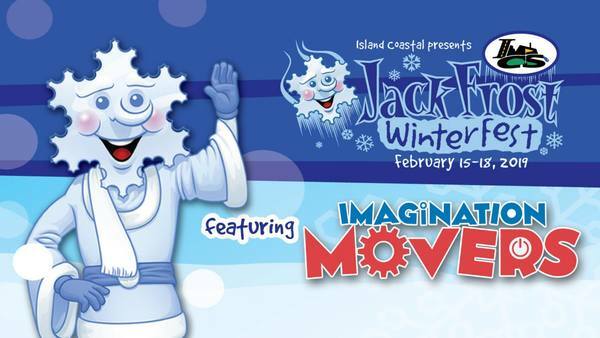 New this year, Jack Frost’s Eastlink Snow Kingdom will open on Islander Day - Monday, Feb. 18 - offering an extra day of outdoor family fun for weekend pass holders. Warm up at Jack Frost’s Indoor Playland with a petting zoo, inflatables, face painting, family photo ops and more.